I was so happy to be able to see these birds today. 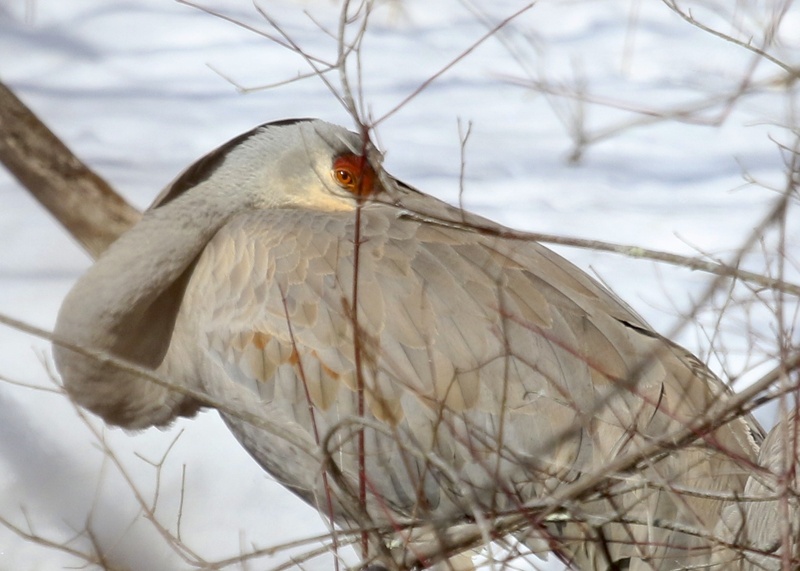 One of two Sandhill Cranes in Ulster Park NY, 2/26/14. I had the day off from work today, so I decided to try and take advantage of it by going for the Sandhill Cranes that had been reported on eBird over the last few days. As I pulled up to the area where the birds have been seen, they were flying overhead. I jumped out of the car and managed to get a few shots. 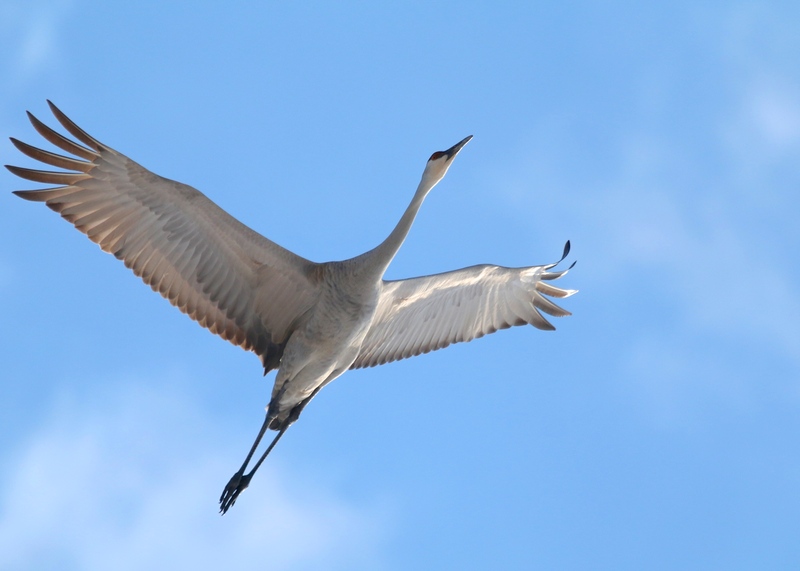 Incredible birds, especially in flight. 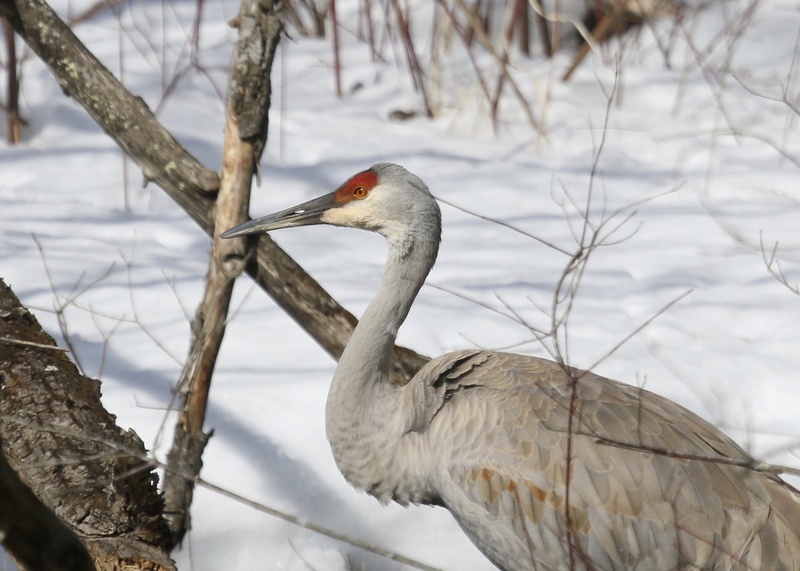 Sandhill Crane in Ulster Park NY, 2/26/14. 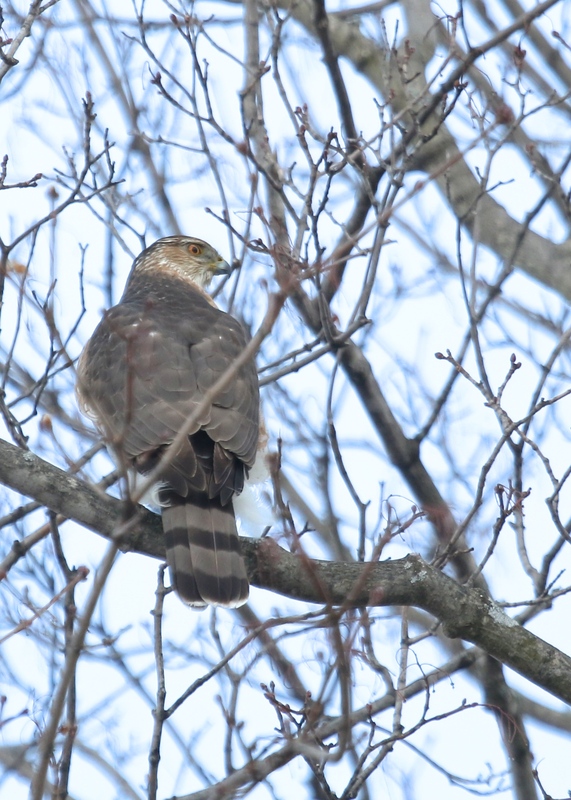 Cooper’s Hawk in Ulster Park NY, 2/26/14. The crane on the right only lifted its head this one time, I was pleased to get a shot with both birds in it. Sandhill Cranes in Ulster Park NY, 2/26/14. Both birds spent most of the time I was there all tucked in. 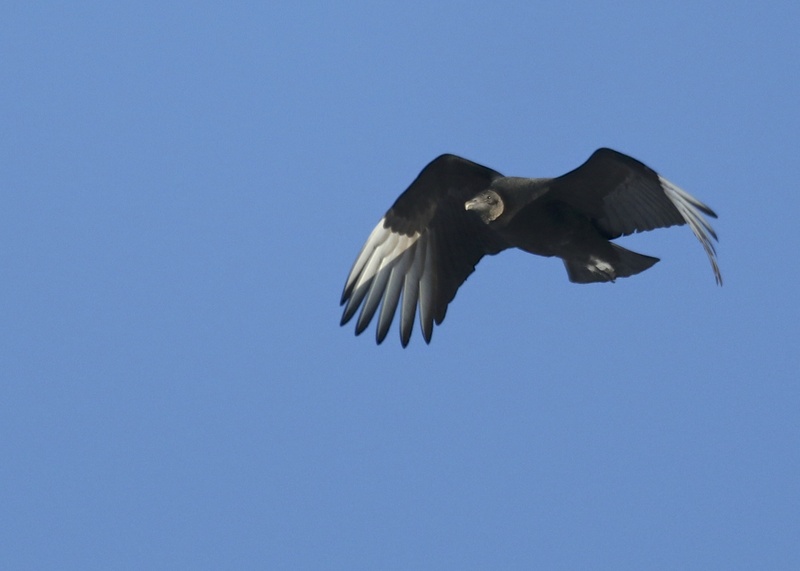 Black Vulture NOT from the grasslands, but rather in New Hampton NY, 1/26/14. I ended my day by doing some more local birding, heading over to New Hampton, NY. While I was there looking at a large collection of Canada Geese in the Wallkill River, I met some of the folks that live on the river. They were interested in birds too, although the Canada Geese could be a bit loud at times. They invited me into their backyard to get some photos, which I thought was very nice of them and I totally appreciate it. 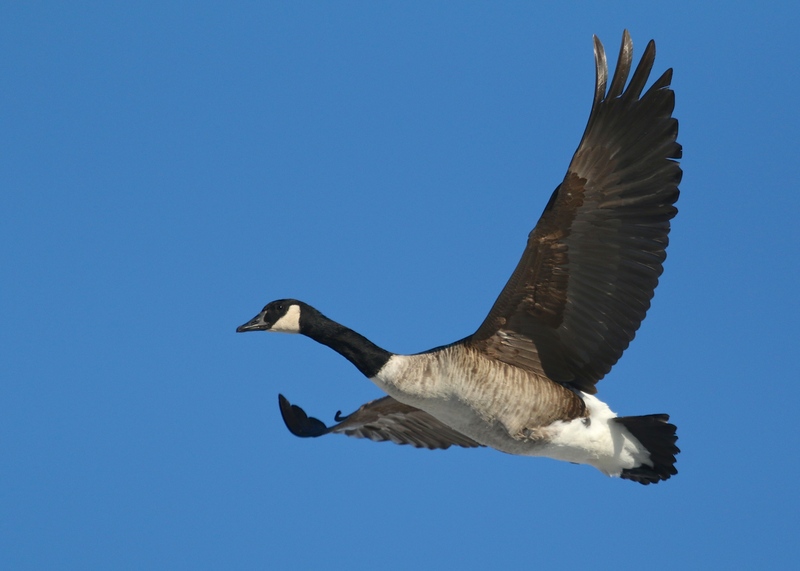 Canada Goose in flight, New Hampton NY, 2/26/14. 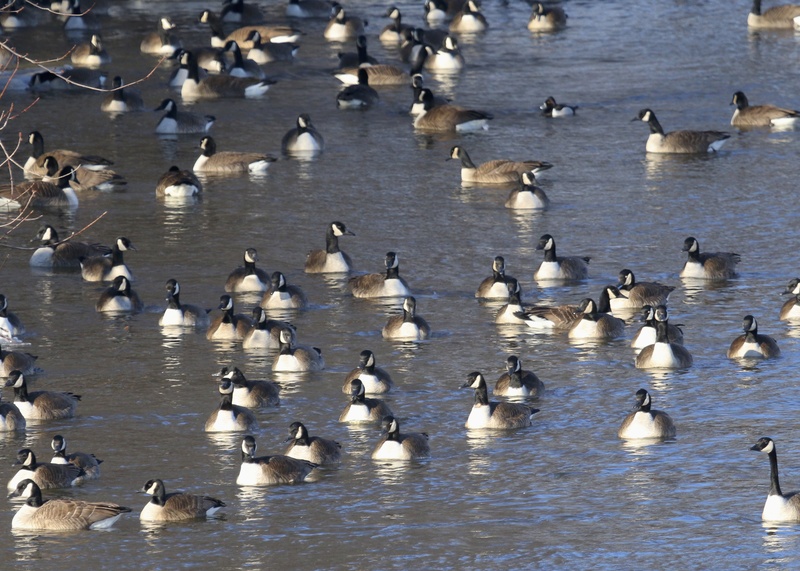 Canada Geese and one lonely Ring-necked Duck (upper right) in New Hampton NY, 2/26/14. 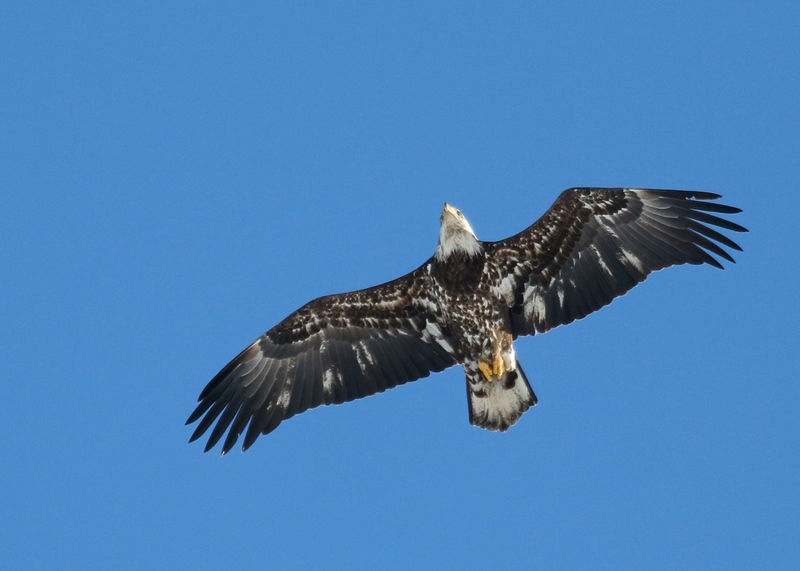 Immature (but not for much longer) Bald Eagle in New Hampton NY, 2/26/14. What a great day of birding! Many good birds and plenty of photo opportunities as well! 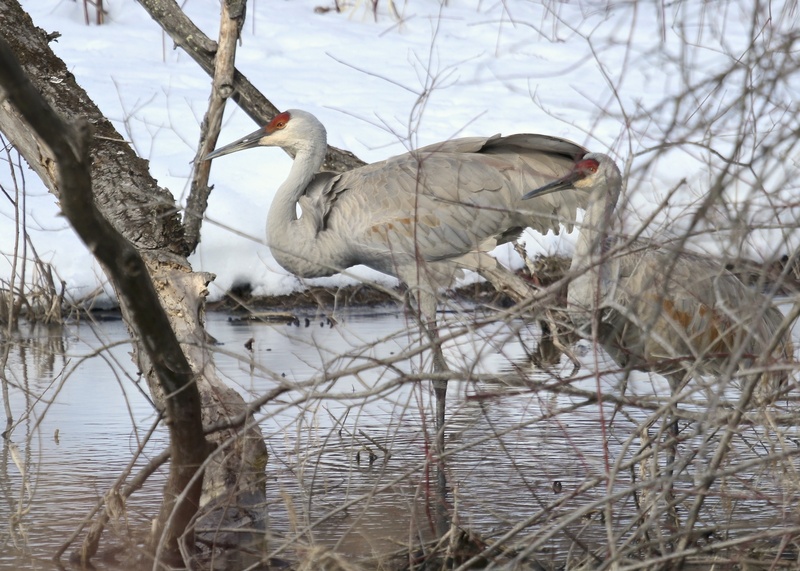 Author mattzeitPosted on February 26, 2014 February 26, 2014 Categories photos, Rarities8 Comments on Ulster County Sandhill Cranes! 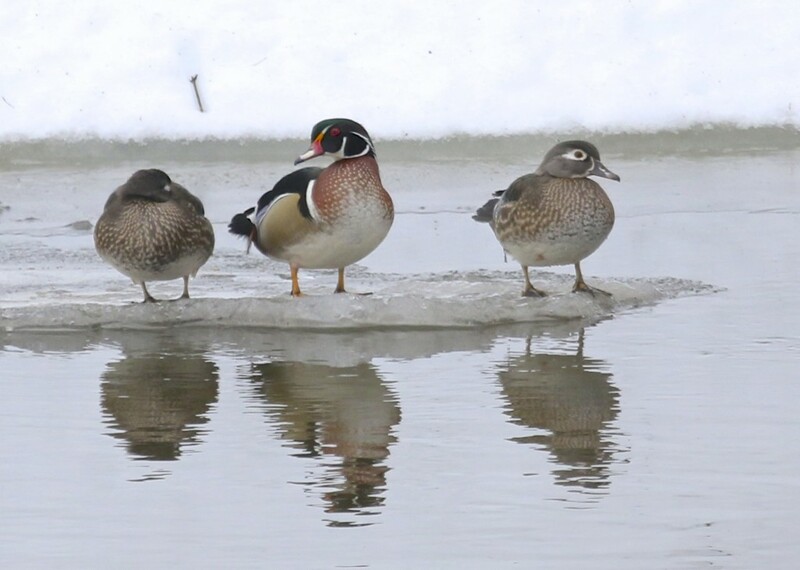 It was a nice surprise to find 4 Wood Ducks on the Wallkill River in New Hampton NY, 2/23/14. 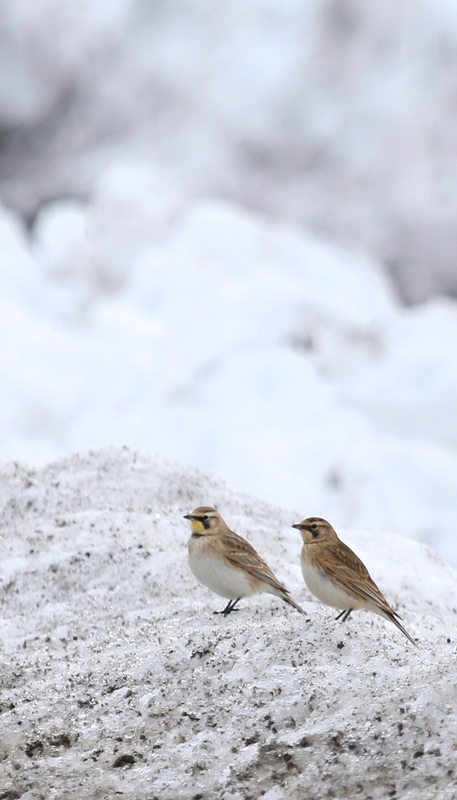 Horned Larks in New Hampton NY, 2/23/14. I sorted through many Canada Geese today without finding anything out of the ordinary. 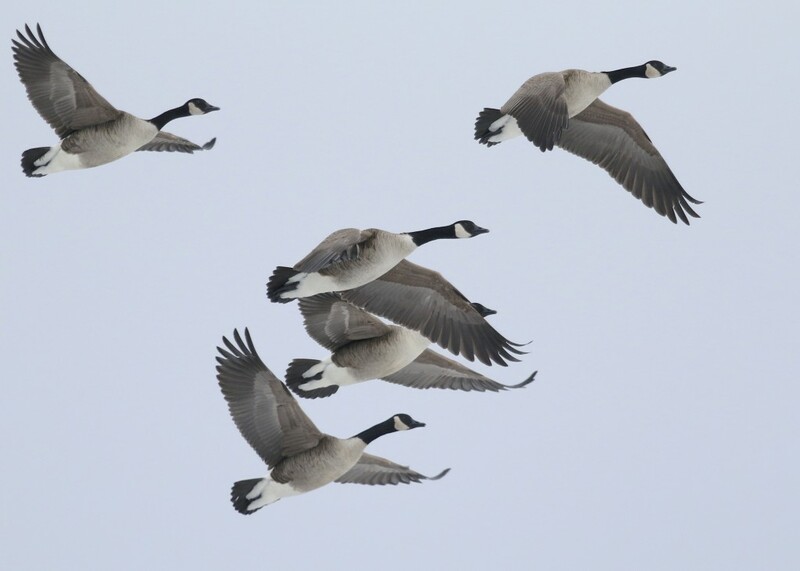 Canada Goose flyover in Orange County NY, 2/23/14. Red-headed Woodpecker, Ulster County NY, 2/22/14. I headed up north this morning to Ulster County just for a change of pace. It was a gorgeous morning, sunny and warming up nicely. I took the back roads and had an enjoyable ride, scanning for birds all the while. 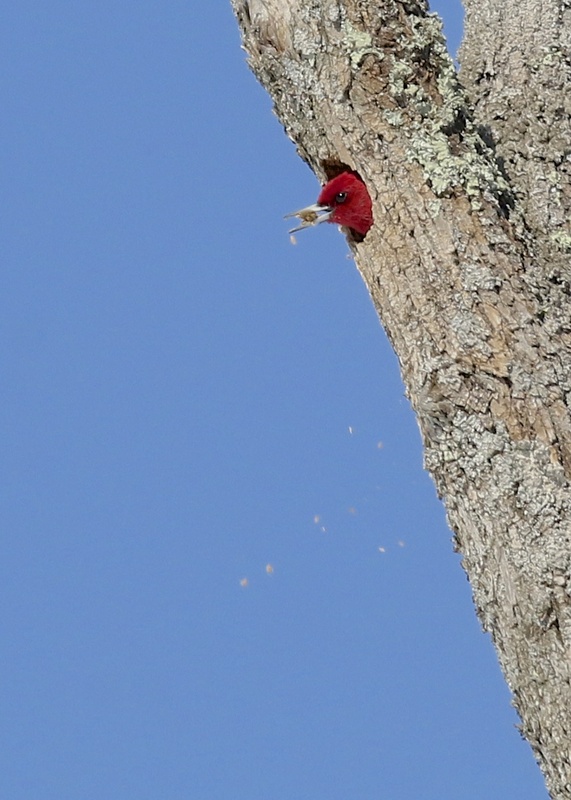 My first stop was for the Red-headed Woodpeckers. I hadn’t been up to see them in a while, and never in the winter. When I arrived, the only birds present were the steady stream of crows overhead. I was beginning to think I might strike out with the RHWOs, when I finally spotted one in my binoculars. Eventually the bird worked its way closer to me and I was able to get some decent photos. Besides the crows, I did not have another bird in that swamp this morning besides the single Red-headed Woodpecker. RHWO in Ulster County NY, 2/22/14. I kept waiting to try to get flight photos of the bird. This is the best I could do. RHWO in Ulster County NY 2/22/14. 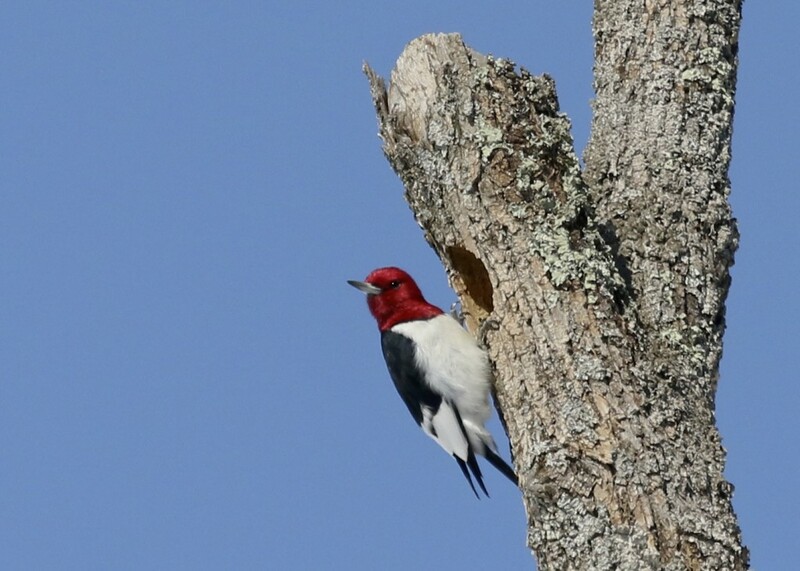 I finally left the Red-headed Woodpecker behind and headed to my favorite birding spot in all of Ulster County – the Shawangunk Grasslands National Wildlife Refuge. Although all the birds there were quite distant, I had an enjoyable stop there with 6 species: (6) Rough-legged Hawks, (4) Red-tailed Hawks, (1) Bald Eagle, several Turkey Vultures, a constant movement of American Crows going through, and (2) American Tree Sparrows. 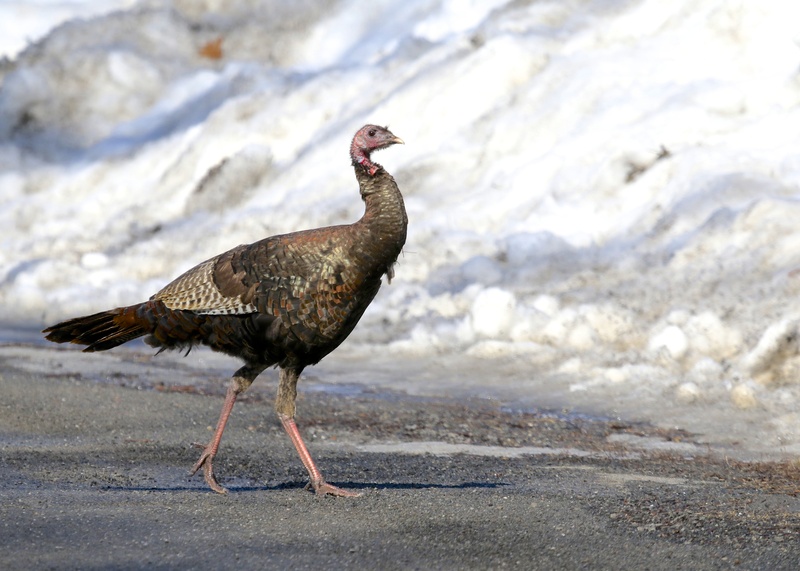 On my way to the grasslands I happened upon this beauty of a Wild Turkey on the road. Ulster County NY, 2/22/14. My final Ulster County stop of the morning was at Lippincott Road in Wallkill. I was hoping for a new waterfowl species for the year, but it was not to be. It was still a good stop, highlighted by the presence of (15) Common Goldeneye, (5) Common Mergansers, and (2) Hooded Mergansers. 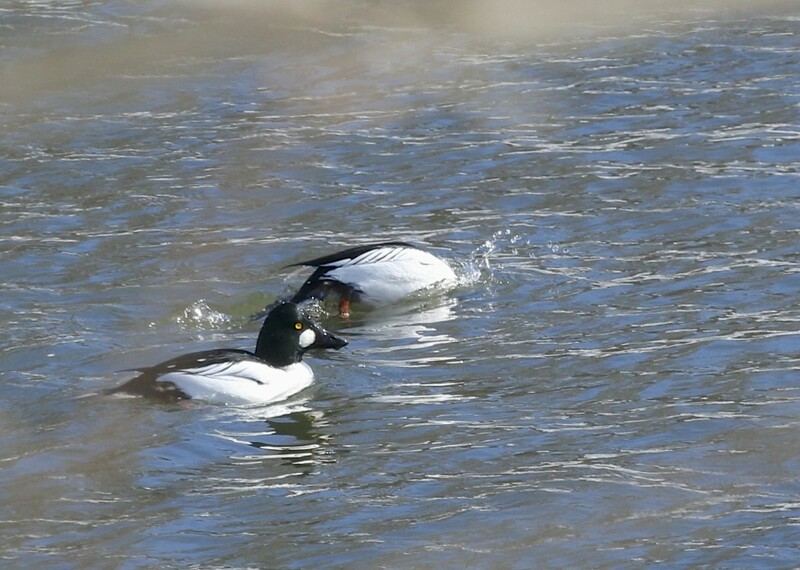 These Common Goldeneyes are very sensitive. As soon as my car slowed down they were moving out. This is the best shot I could muster through the trees. Lippincott Road, 2/22/14. 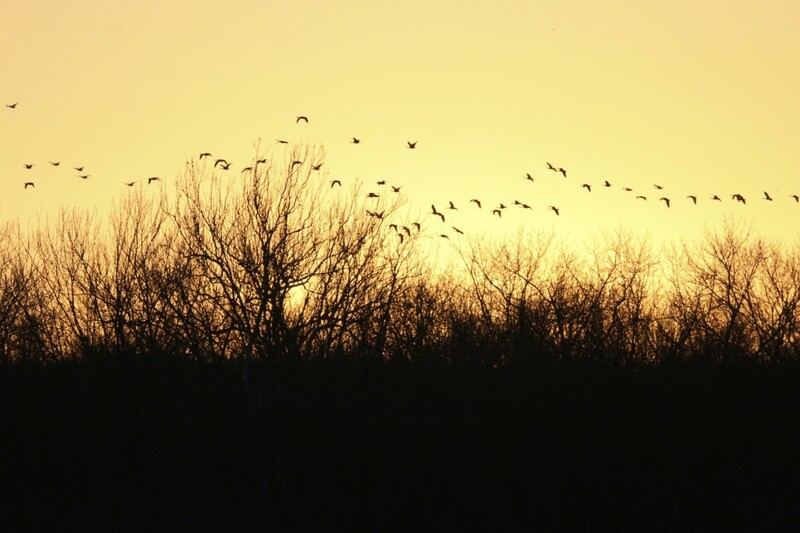 Canada Geese in an awesome sunset at Wallkill River NWR, 2/22/14. 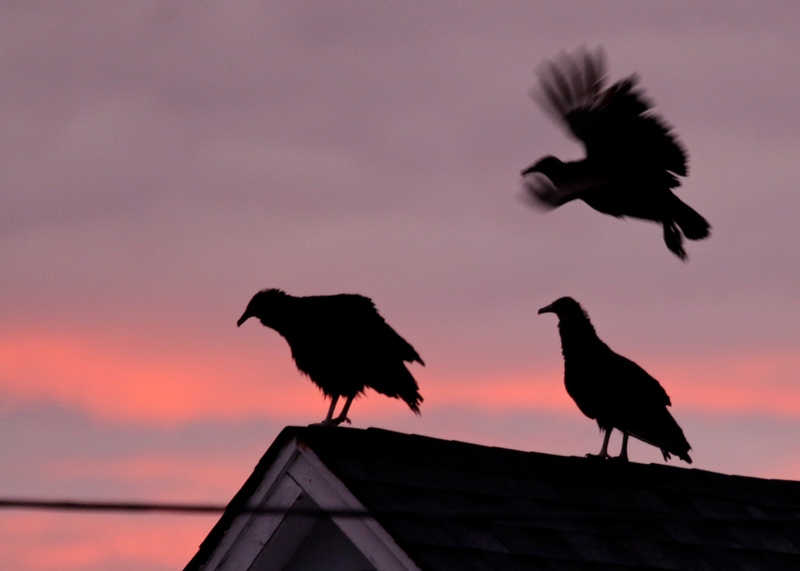 On my way to a meeting this evening, I ran across approximately 20 Black Vultures perched on rooftops along Route 17A, just south of Florida, NY. 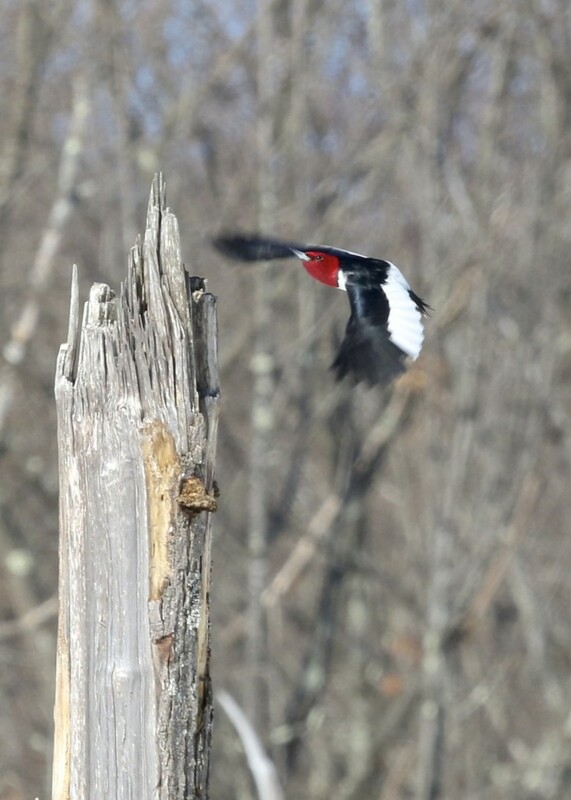 A SEOW does a fly-by at the Wallkill River NWR, 2/19/14. I took advantage of the foggy, misty weather by having a peaceful evening watching the Short-eared Owls out at the Wallkill River National Wildlife Refuge. The parking lot, which has been filled most evenings lately, was practically empty. The owls were up early, and plenty of other raptors could be seen from the viewing platform, including numerous Red-tailed Hawks, a couple of Rough-legged Hawks, and a single male Northern Harrier. Also noteworthy were the seven Northern Cardinals flew into a bush near the entrance to the parking area. It started to rain after a little while, but that didn’t put damper a pleasant evening. 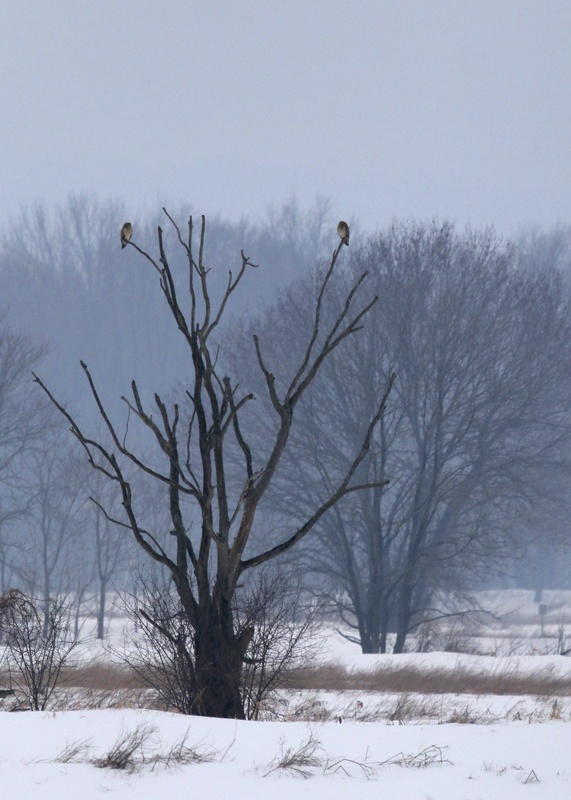 A pair of SEOWs perched in the distance at Wallkill River NWR, 2/19/14. 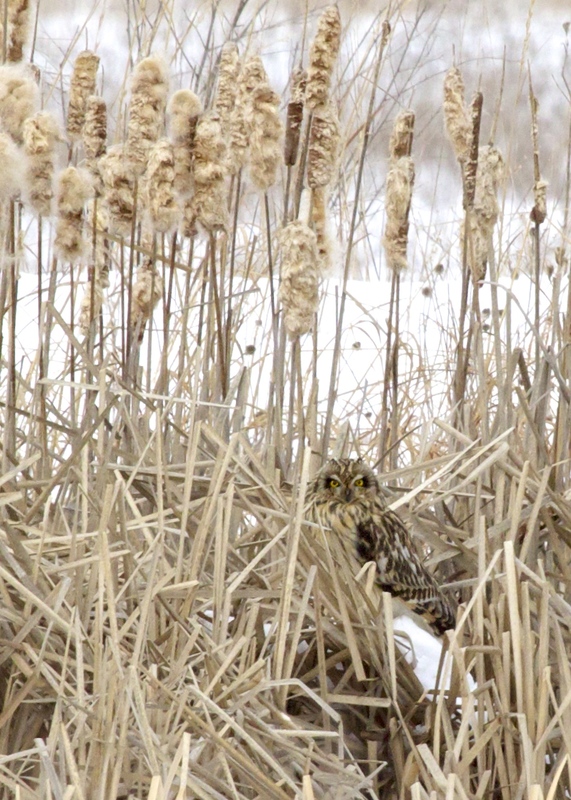 Short-eared Owl at Wallkill River National Wildlife Refuge, 2/12/14. 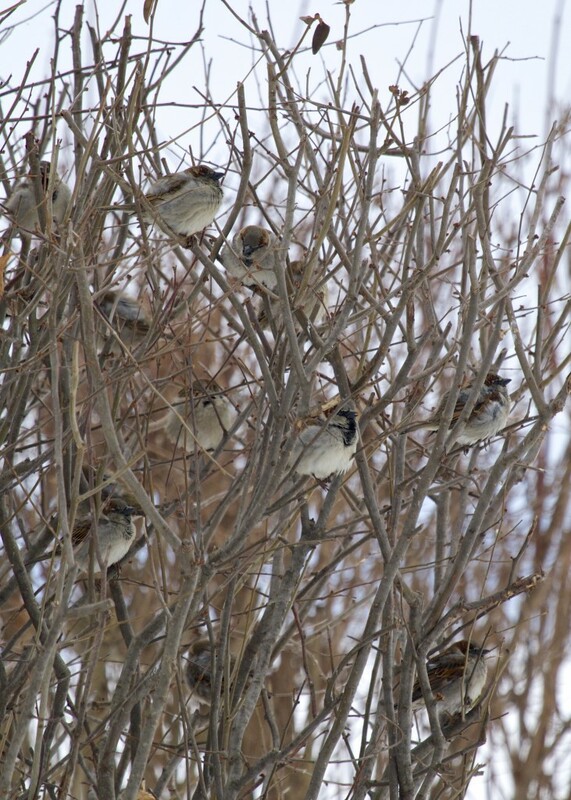 House Sparrows on Celery Avenue, 2/15/14. 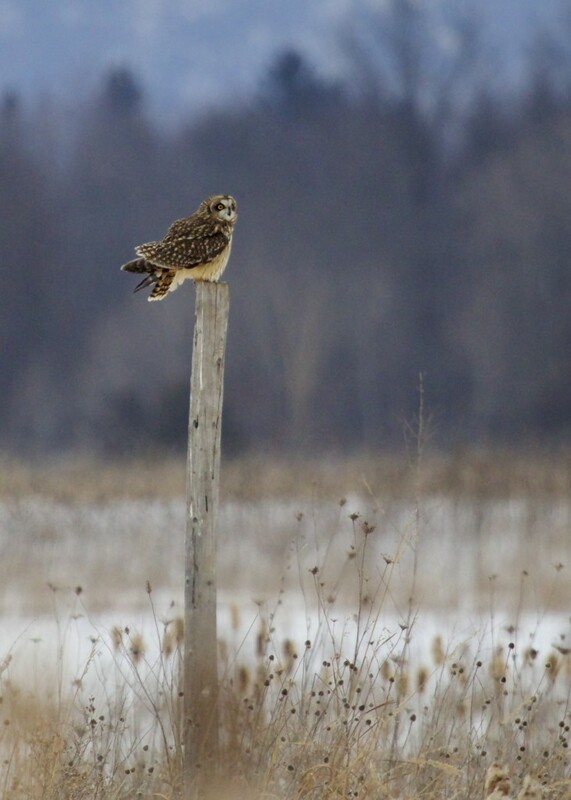 A Short-eared Owl at Shawangunk Grasslands NWR, 2/9/14. Photographing the Short-eared Owls out at the Shawangunk Grasslands National Wildlife Refuge is for me the most enjoyable way to shoot birds. Once you are tucked away in one of the photo blinds, the birds are not even aware of your presence. 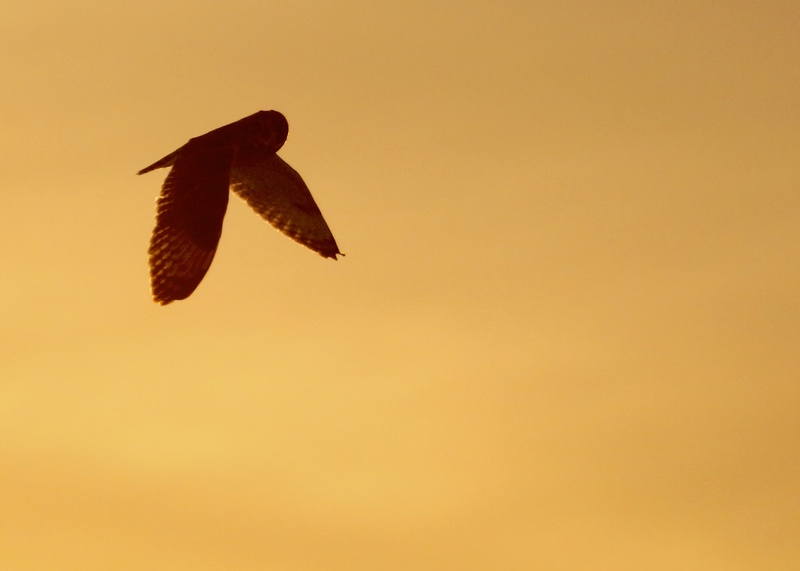 On good days, like today, when the owls get up early, this can result in many good photo opportunities. I love the fact that I can spend hours shooting away and I know that I am not bothering or stressing these birds out at all. All you have to do is be patient and be willing to deal with the cold temperatures. For me it is the perfect way to photograph birds; I only wish that there were more opportunities like this out there. 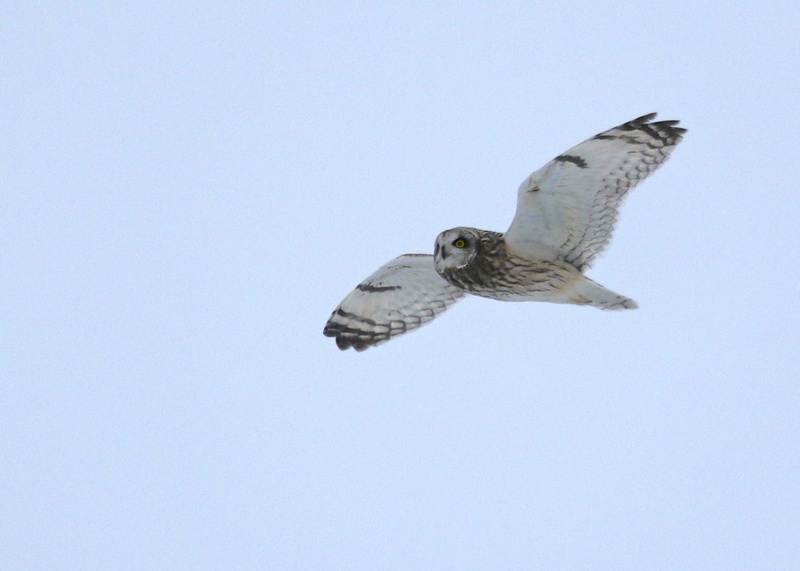 For the record I counted 6 Short-eared Owls at the refuge tonight, and amazingly, I did not see one Northern Harrier. This weekend is the first time I have ever been to the refuge in the winter and not seen at least one Northern Harrier. I thought the SEOW on the post would flush, but it held its ground. 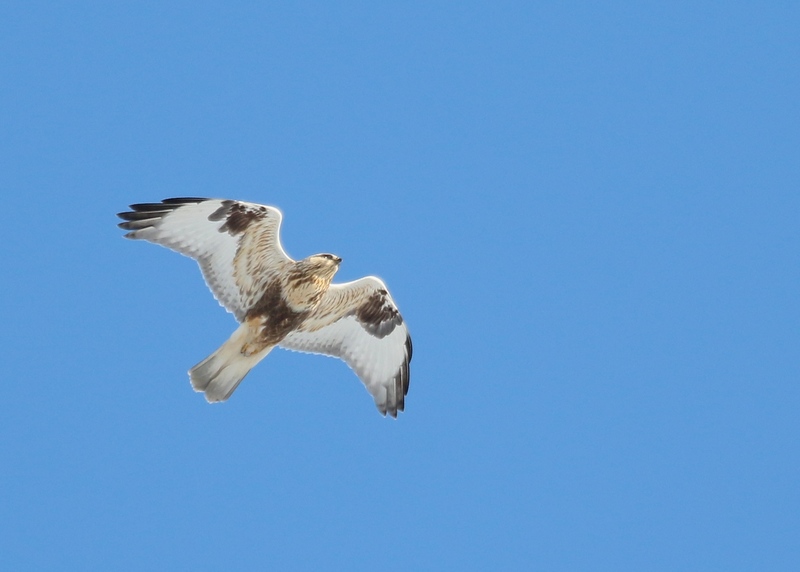 Two SEOWs at the Shawangunk Grasslands NWR, 2/9/14. Short-eared Owl hunting at the Shawangunk Grasslands NWR, 2/9/14. 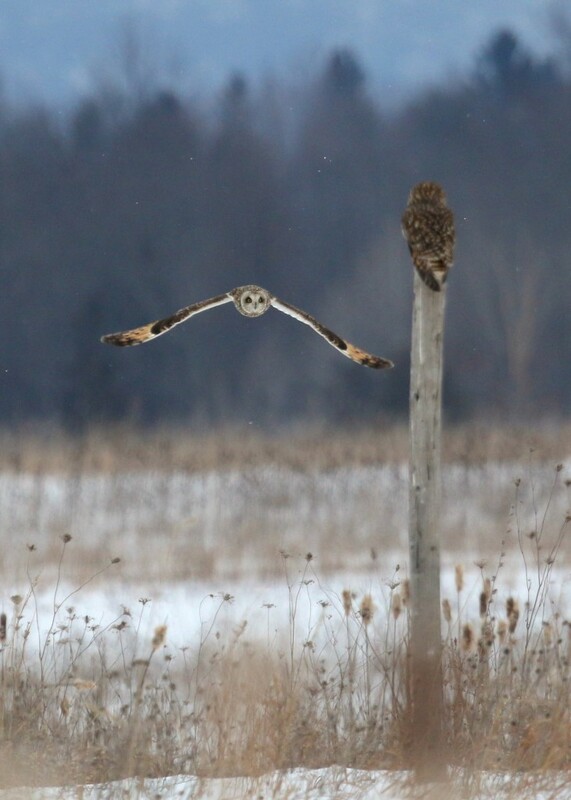 Thanks to Ralph for putting this post up in front of the blind – the owls love it. 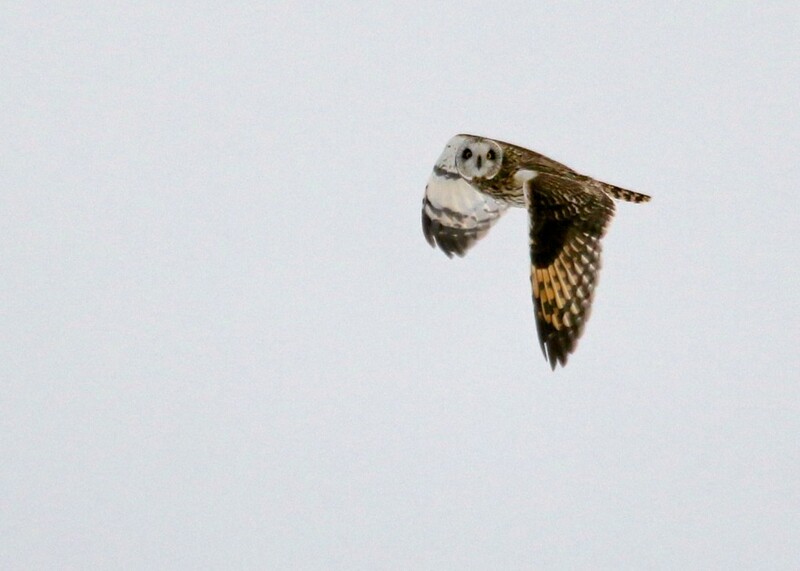 Short-eared Owl at Shawangunk Grasslands NWR, 2/9/14. 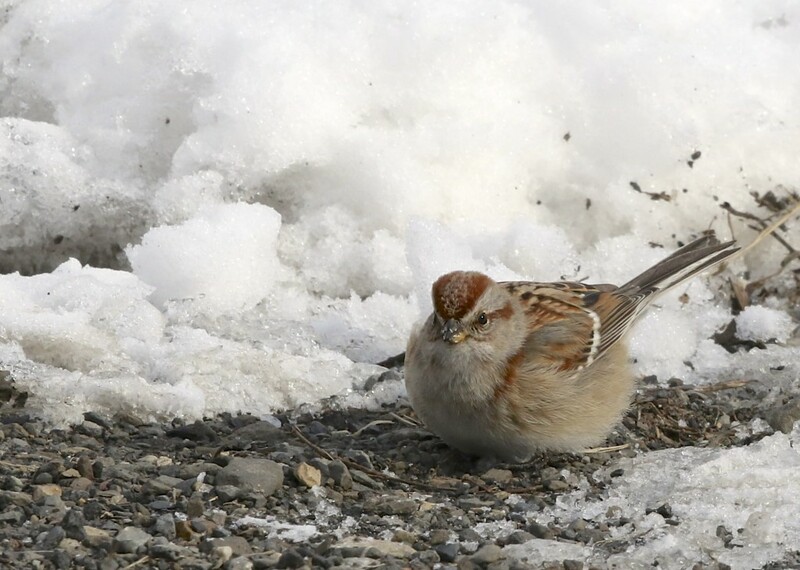 American Tree Sparrow at the Winding Rivers Trail in Wallkill River NWR, 2/8/14. Karen Miller and I decided to start the morning of birding off with some snowshoeing at the Winding Waters Nature Trail at Wallkill River National Wildlife Refuge. Unfortunately, the frozen crust of ice on top of the snow made every step we took so loud that there was no way we were going to have any success birding. Fortunately a truck had been down the trail, so we decided to forego the snowshoeing a just walk in the tire tracks instead. 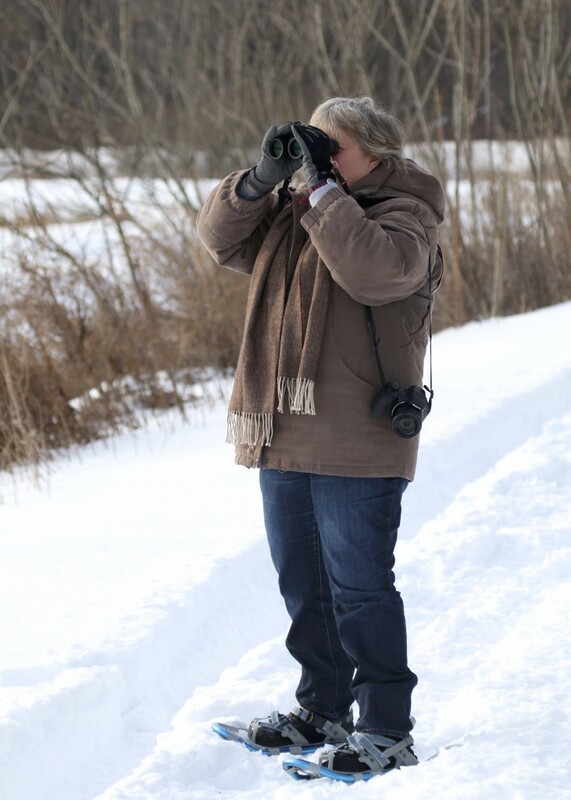 Karen Miller in action at the Winding Waters Nature Trail, 2/8/14. 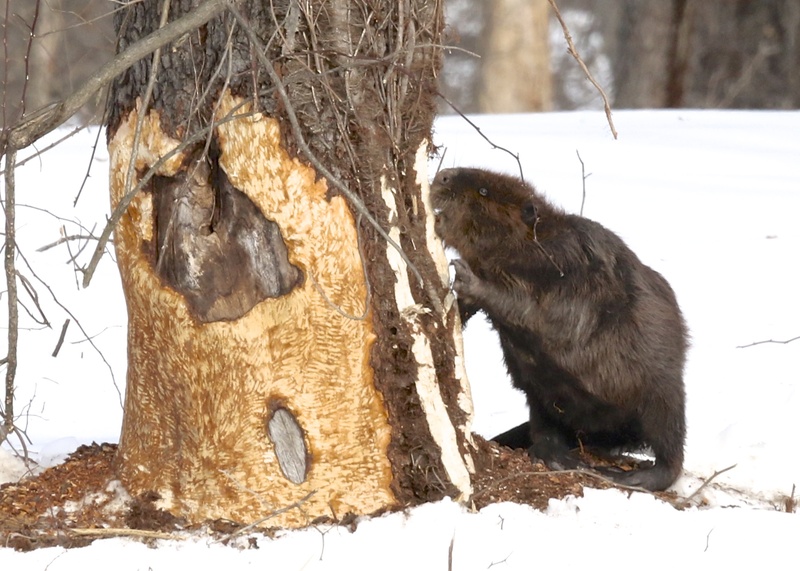 A beaver does its thing at the Wallkill River NWR, Winding Waters Nature Trail, 2/8/14. 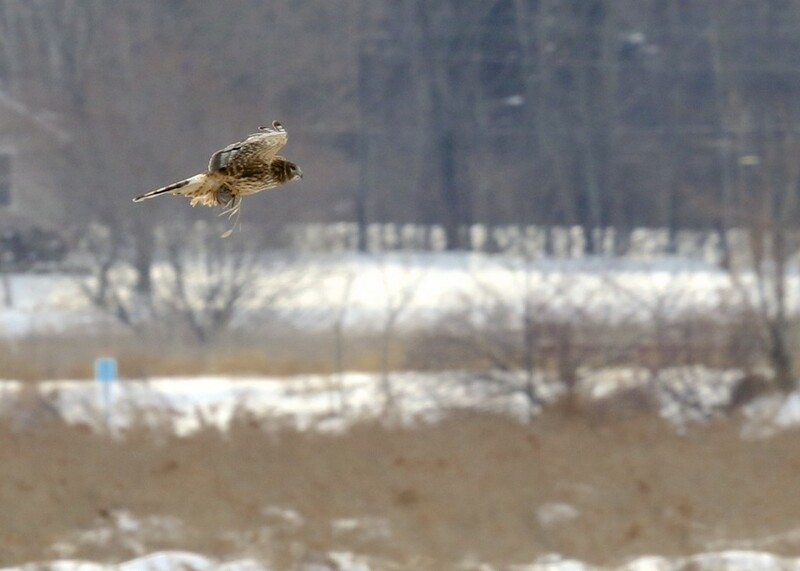 This not much of a photo, but it was fascinating to watch this Northern Harrier successfully hunt. Winding Waters Nature Trail, 2/8/14. On our way out we made a quick stop at the viewing platform by the Liberty Loop, where not much was flying so we decided to make a few stops in the Black Dirt Region on our way back. 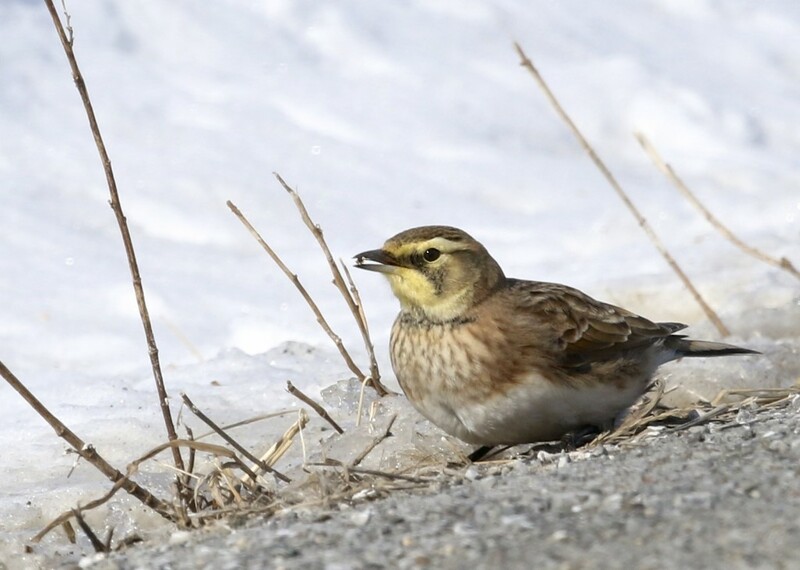 We made a couple of stops and Karen got to see the Lapland Longspurs I had seen the evening before, as well as a good number of Horned Larks and some Snow Buntings too. Horned Lark in Goshen NY, 2/8/14. One of five Lapland Longspurs in Goshen NY, 2/8/14. Nine of at least twelve (!!!) LAPLAND LONGSPURS, Pine Island 2/7/14. Three birds were cropped out of this photos, see below for all 12 in one shot. I had an awesome evening of birding today after work. I headed to the Pine Island area, as I have for the last three evenings; it has been very active with good numbers of Horned Larks and Snow Buntings being seen. 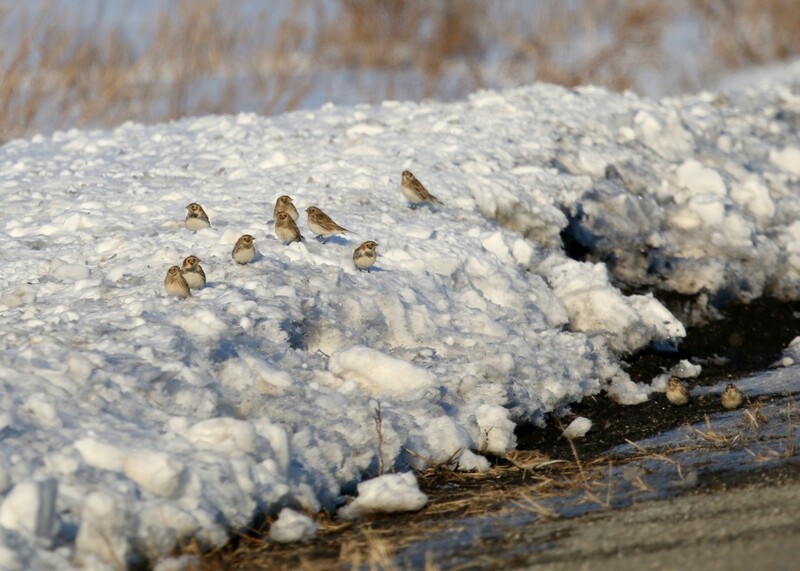 Today, my travels were rewarded with quite the treat- at least 12 LAPLAND LONGSPURS feeding on the roadside. While I was in the field I estimated 15 birds, but the most I have in any of my photos is 12. What an experience seeing these birds and to also be able to get some decent photos! 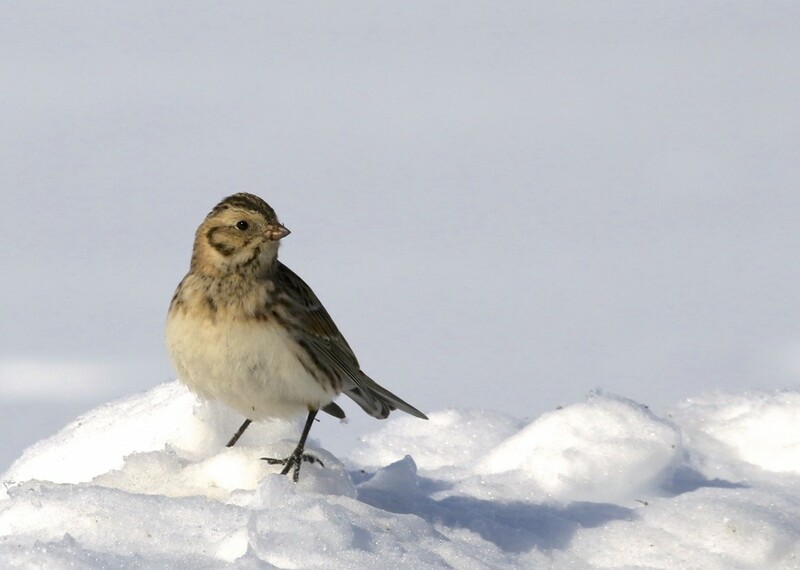 Lapland Longspur in the snow, Pine Island NY 2/7/14. 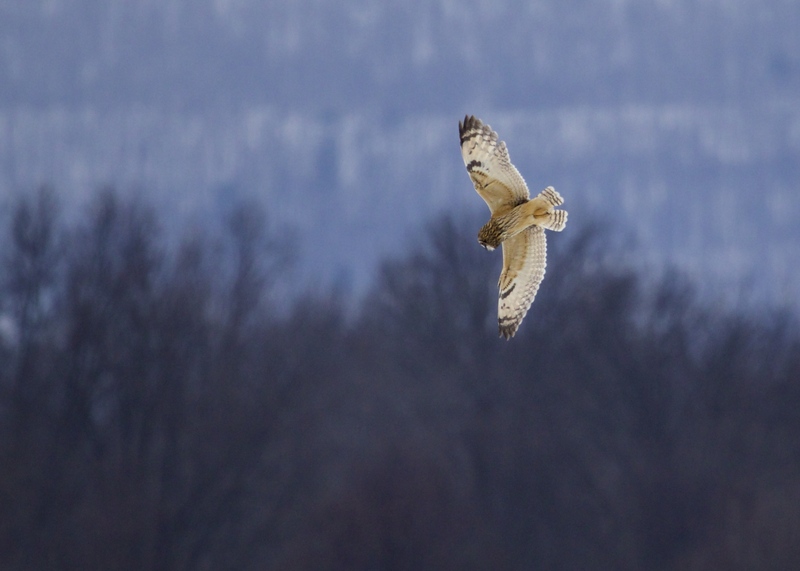 Just before sunset I headed over to Wallkill River NWR to see if the Short-eared Owls were flying. The owls were up early and putting on a show. I took some photos and I would guess that while I was there, 7 or 8 owls were up flying, all very close to the viewing platform. There were also many Northern Harriers present, I counted at least 8 which is the most I’ve had out there in a while. 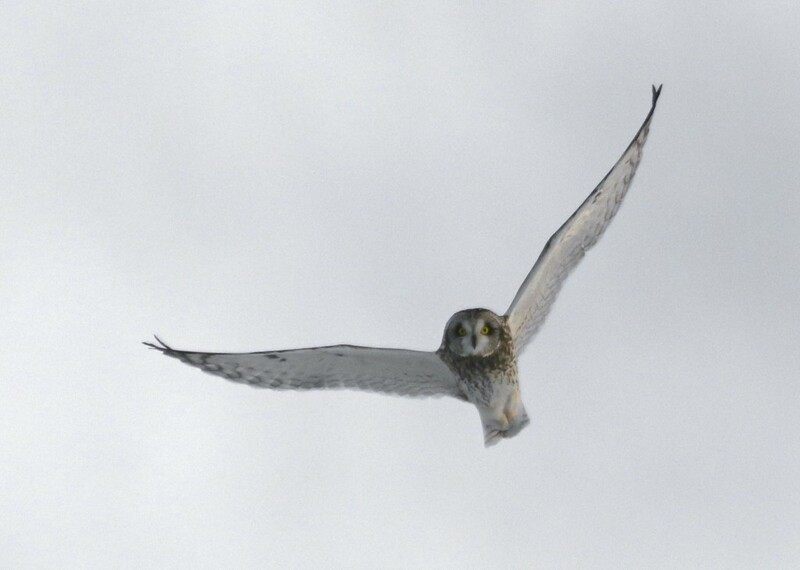 Short-eared Owl at Wallkill River NWR, 2/7/14. SEOW in a nice sunset light. Wallkill River NWR, 2/7/14. 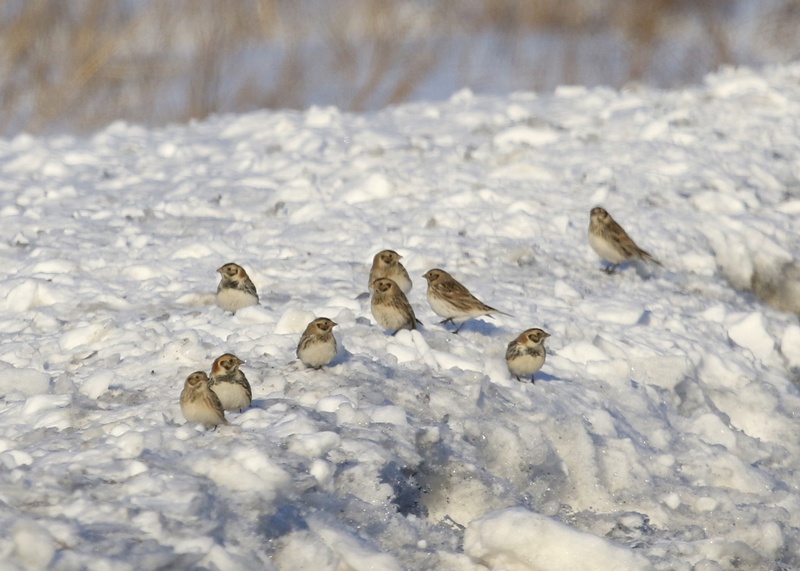 Here’s the top photo with less of a crop – showing 12 Lapland Longspurs in one shot. Pine Island NY, 2/7/14. 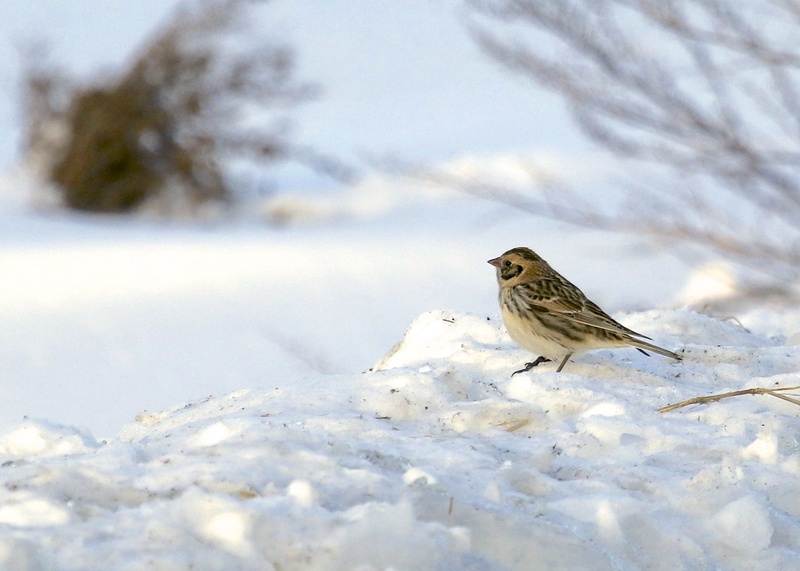 Author mattzeitPosted on February 7, 2014 Categories Orange County6 Comments on LAPLAND LONGSPURS!! !